Ohio Loan Co., Inc. | Dayton Pawn Shop – What can you find in today’s pawn shop? 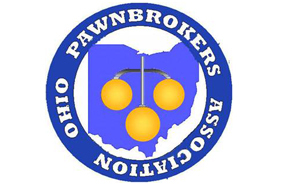 Ohio Loan Co., Inc. | Dayton Pawn Shop \ Today's Pawn Shop \ What can you find in today's pawn shop? Variety makes visiting a pawn shop an exciting and enjoyable experience. You never know what you will find. You would have to visit dozens of different retail stores to find all the different types of merchandise found in a single pawn shop. Jewelry, clocks, stereos, sporting goods, cameras, musical instruments, tools, guns, TV's, computers, bikes, appliances are just a few of the things to be found in the pawn shop. The variety of brands of merchandise in the pawn shop is also very large. For example, you are looking for a DVD player? Most stores will carry three or four brand name DVD players, but the pawn shop may have a dozen or more brands. This makes comparison shopping a breeze. You don't have to drive to several different electronics stores to find just what brand and model fits your particular needs. You can comparison shop with all the different things a pawn shop sells. Another advantage a pawn shop offers is different model years of merchandise, often at a vast savings. Some items that aren't the latest and the greatest model can be found in a pawn shop at a really good price. Everyone has heard the old saying, "They don't make them like they used to." Sometimes the only place you can find an item "made the way they used to", is in a pawn shop.